Sorry, Donald, you do own Obamacare. You took an oath to faithfully execute the Office of President of the United States. The Affordable Care Act remains the law of the land, and as head of the executive branch, you are responsible for administering the program. Despite Republican claims, the Obamacare exchanges are not in a death spiral. The program was strong when Donald Trump assumed responsibility for it, and if it fails, it is his fault. Donald Trump not only fails to understand the policy. He doesn’t even understand the process to attempt to repeal and replace it. He called for an end to the filibuster saying, “The U.S. Senate should switch to 51 votes, immediately.” While some things the Republicans would like to do would require sixty votes, only fifty-one votes were required for the Senate health care plan, and they couldn’t come up with that many. The Republican plans to repeal and replace Obamacare failed because they had no real plan to replace it with. Fortunately a handful of Republicans have also announced they will not vote for the next plan–repeal without a replacement at this time. In stopping the Republicans from repealing Obamacare, there is a sign that resistance works which should be applied to other areas of the Republican agenda. It will be even harder for Republicans to ram through unpopular legislation next year during an election year. After that, they will hopefully suffer loses making it even harder for them. If the Republicans want to please voters and work for the good of the country, they should work with Democrats to strengthen and improve Obamacare. High premiums and out of pocket expenses were characteristic of the individual market prior to Obamacare, and more action is needed to fix this. A public option and/or Medicare buy-in is needed. Of course it is pure fantasy to think that the Republicans will do this, so if we are going to fantasize, we might as well encourage them to pass a single payer system. Posted in Congress, Donald Trump, Health Care, Republicans. Tags: Donald Trump, Health Care Reform, Republicans. RSS feed for comments on this post.. TrackBack URL. ACA is the law. It is also a shoddy piece of work. I cannot be administered well nor is it sufficiently funded. All The Trump Administration need do is to execute the law -as it is written-. It will soon fall apart from its own deficiencies. The Trump administration is under no legal obligation to "fix" ACA or to amend it. The Democrats have created a badly crafted law, so let them fix it. The Democrats own the ACA defects and all. It is their baby. Those are just right wing talking points which have been contradicted by the CBO report and several independent analyses by health care economists. 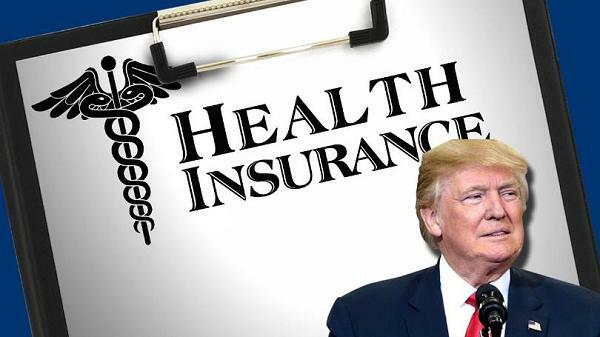 Trump inherited the ACA in a very strong position, and if it fails due to the actions he has threatened the Republicans will both deserve and receive the blame.